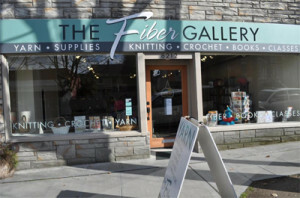 Our store is located in the heart of Seattle’s Greenwood neighborhood in an historic brick front building. Our selection of wonderful yarns will suit all levels of knitters and we love to help select the perfect fiber for your project. By Bus: We are on the number 5 bus line from downtown Seattle. From I-5 southbound or northbound: Take the 85th Street exit and turn west. Continue to Greenwood Avenue North. Turn left (south). Continue to the corner of 83rd Street North and turn left. Turn right into the first driveway to access customer parking behind the store. Please check out our Classes as well as our Community page for drop in times. We love to see you in person.